Blockchain for social impact (BSIC) is an innovative initiative by the United Nations Organisation with a vision to harness the potential of Ethereum blockchain and deploy them for the well public welfare. This is an initiative led by ConsenSys, and the 22-members organization, is looking to solve social and environmental problems by first incubating, then designing and further leading into development and implementation of blockchain solutions all across the world. The organization is committed to developing and restoring transparency, efficiency and total accountability in numerous humanitarian organizations and thus helping them directly improve the lives of individuals under their aid. Read along to know their workforce and explore the critical targets set by BSIC. BSIC is anticipated to have plans for the welfare of Diwali tribal populations and strong identity of each and every individual who is a part of that population under crisis. Certainly, the Ethereum blockchain can help BSIC account the information related to this population in an immaculate manner. The organization can set up local notes in geography kill areas where certain data set is created and further grown by documenting each and every required information about the unidentified people making up for those who vulnerable populations. The data can be compiled for the complete blockchain and be stored in our data cloud for further data visualization and analysis. This can help BSIC to make valuable inferences about those people and population which can be the foundation piece of information while chalking out public welfare initiatives and schemes. The energy and environment side of BSIC were ground has to subparts. The one is the accounting and total documentation of energy and environment parameters different places under study. The other is the commerce side of something as potent as energy and the business concepts which arise due to certain environmental problems. The block change can be set up for both, the energy and environment parameters can be computed and well compiled different notes of luck change for helping out people solving certain problems which affect the masses. The business side of environment and energy aspect can be empowered by blockchain as it gives them a convenient way of carrying out transactions, databases and even smart contract in public welfare as endorsed by numerous humanitarian organizations. BSIC has realized the paramount importance of supply chain, and it’s effective management as The materials, information, finances, and of course, the goods and services play an important role in the commerce of a region or a company. 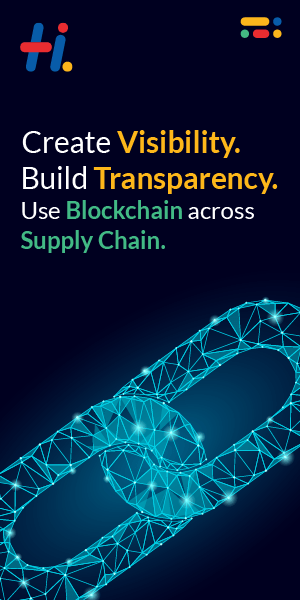 Supply chain management can be felicitated by blockchain as this can host a process which leads certain goods and services from the supplier to the manufacturer. Further, the same is carried forward to the wholesaler, and then to the retailer who becomes an interface between the product and the consumer. Financial inclusion is one of the greatest challenges faced by the development of any country. BSIC has tried to address this critical problem by maintaining dynamically updated data set some appropriate databases of people who are under financial inclusion and more importantly the ones who are not under the same. Blockchain can be set up with numerous notes in that record and compile data sets of people from different areas, and the same databases can also undergo transactions based on the changes. Transactions can be of both, intra and inter-note as the Ethereum blockchain lend dynamicity to the scenario.